Let’s say you’ve been with DIRECTV or DISH a while. You’ve had a few satellite receivers, and you’re ready to upgrade. What should you do with your old one? Truly old (Pre-2005) satellite receivers are probably owned and you should responsibly recycle them. A lot of states are putting in laws saying that electronics can’t be put in landfills due to the mercury and lead used. So contact your local city government and ask about the best way to dispose of older receivers. A receiver that old probably doesn’t have a lot of value if you were to try to sell it, but it’s your option if you want to do that. 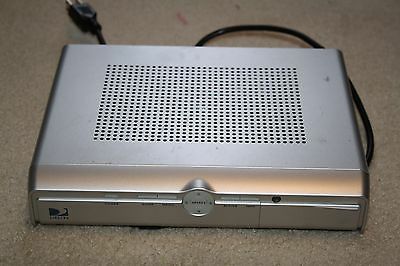 If your receiver is newer than 2005, you should call DIRECTV or DISH before disposing of it. Why? In the mid-2000s both companies put in lease programs that mean you don’t own that receiver unless they say you do, even if you paid full price. If you can confirm its status as owned, you’re free to sell it on an auction site if you want, pick it apart for fun, or whatever you choose. Some older HD receivers can still be used as over-the-air decoders if you prefer. Most important thing is to make sure that the satellite company doesn’t want it back. As a general rule you won’t be required to return any receiver that isn’t currently being put out in the field. It’s worth the phone call just to be sure, unless it’s been off your account for over a year. If it’s just been sitting in the garage gathering dust, there’s no reason to think they’ll want it. Here’s where it gets a little interesting. Because receiver technology is so mature, most of the hardware made in this decade is still good. It’s getting refurbished and goes back out into the field a lot. This is more true with DIRECTV than DISH at the moment just because DISH is transitioning over to hybrid-LNB-capable receivers, however they could still ask for a relatively new receiver back. You can find the receiver model on a sticker somewhere on the equipment, generally on the bottom. If they do want it back, they should send a “recovery kit” which is basically a box for you to put the receiver into and send it back. If they say they’re sending one and you don’t get it… call them. Don’t just assume they changed their minds, because they could charge you hundreds of dollars for the receiver if you don’t return it upon request. In some cases, a perfectly good receiver or DVR (like a DIRECTV H21 or HR20) will be yours to keep because it’s too old to refurbish. At that point you should feel comfortable selling it at a fair price, since there’s nothing wrong with it and it can still be used in any current system.